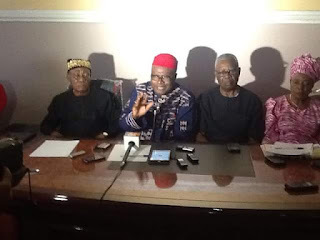 Aba, the commercial city of Abia State has been turned into a theater of war since Justice Oyebisi Omoleye led five-member Appeal court panel asked Dr Okezie Ikpeazu to vacate office for Alex Otti. Ikpeazu a native of Umuobiakwa in Obingwa Local Government Area was the governorship candidate of the Peoples Democratic Party in Abia State during the April guber election in the state,although their people has not tested the number one Seat of Power in Abia State, but the second Seat of Power has always been reserved for them since 1991. A lot of mix reaction has been generated in Aba since on Thursday when the Judgement was given, Youths women has taken to the streets in protests. 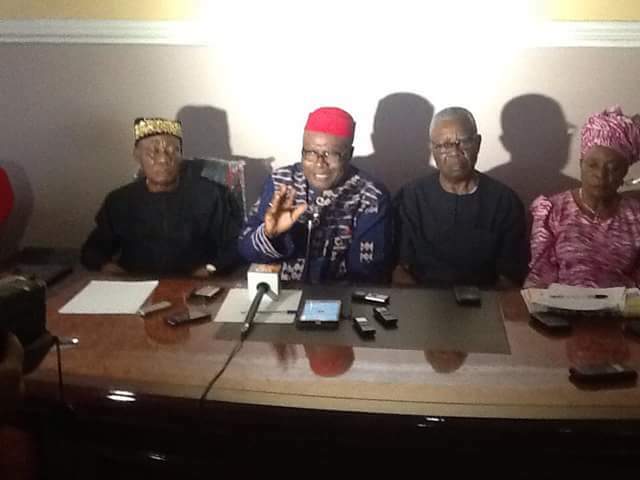 According to the Ukwa-Ngwa elders during a Press briefing today in Aba on the outcome of the Appeal Court verdict, it was better for the Court to order for the elimination of the Ngwa nation than ordering for inauguration of Alex Otti who is from Ohuhu.